As per the recent reports, the citizens of European Union still are eligible to visit the UK without a visa even after the Brexit. 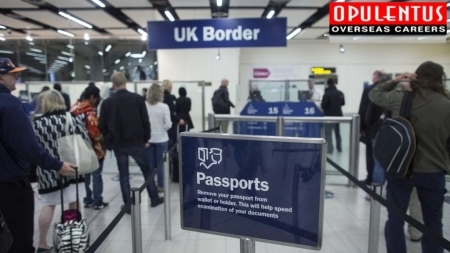 Whitehall sources confirmed the visa-free entry for EU citizens that was included in the plans for an immigration system in the post-Brexit UK. August 17 reports also stated that the immigration plans does not imply that citizens of EU can stay indefinitely in the UK. To work in the UK, the EU nationals have to follow the new immigration rules. The ministers stated that with time the Brexit government would have the power to restrict immigration. But this does not mean that the UK wants to end the process completely. The UK government would be still allowing the companies and the employers to recruit the skilled workers from the European nation. Andrew Bridgen said that he is not against the EU citizens entering the country and supports the UK visa-free idea. It only meant that they won't be allowed to work or claim any kind of benefits.